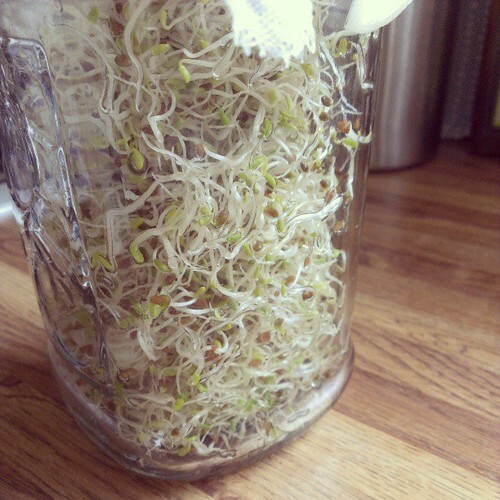 This morning, while I was rinsing my sprouts, Rich said, “Good morning, Sprout.” Apparently it’s my new nickname. 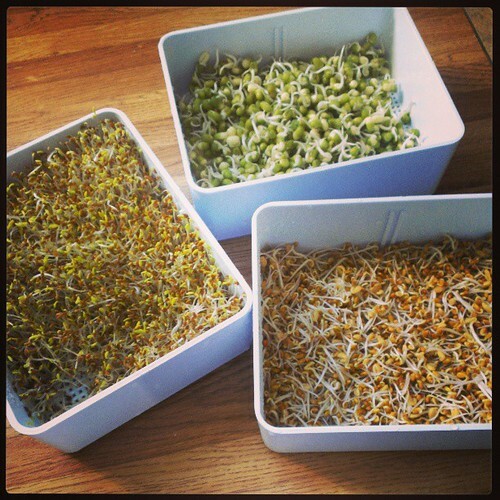 My order from Sproutpeople came over the weekend and I couldn’t wait to get started using the new equipment. I ordered a mesh lid for my wide mouth mason jar, the SproutMaster 5×6 sprouter, and the “Beanginner” kit which included a hemp bag and a sampling of different beans. 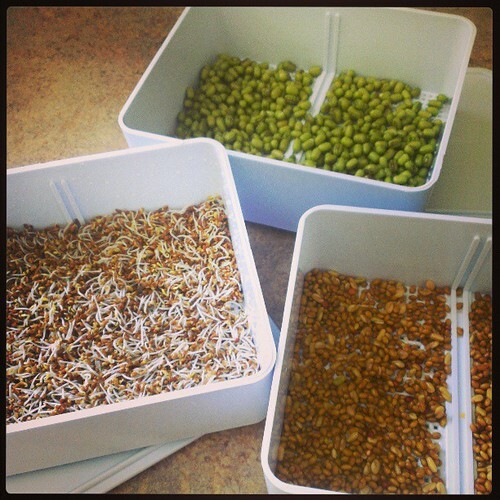 Saturday night I started some alfalfa seeds soaking and placed them in a tray on Sunday morning. 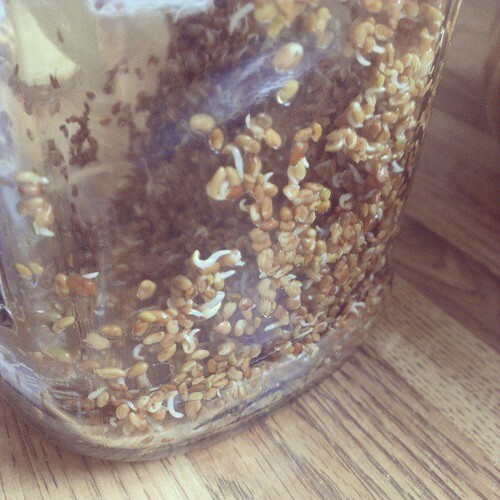 On Monday I added mung beans and a seed mix consisting of clover, fenugreek, and radish. Every morning I give them a rinse and again before bed. It really is fun to watch them grow! The hardest part is deciding when and how to eat them. In November I made a batch of these cookies for Indie Knit & Spin. Even though I wasn’t sure if I had made them correctly, they turned out great. Since I had several shoppers inquire about them, I am going to share the recipe. It came from a wonderful cookbook that I found last fall called Wholesome Kitchen. I hope you enjoy them as much as I did! Put the butter and both sugars in a separate mixing bowl and beat for 4-5 minutes, until thick and pale. Stir in the dry ingredients to make a thick dough, then stir in the chocolate chips. 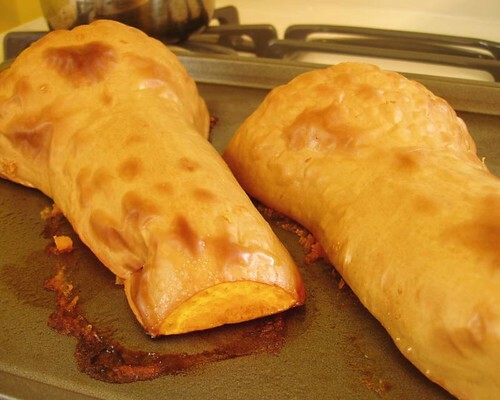 Put tablespoons of the dough onto the prepared baking sheets and bake in the preheated oven for 10 minutes, until golden. Transfer to a wire rack to cool. Once coot, store in an airtight container and, eat within 2-3 days. The camera cable has been located! And guess who found it? The husband. I guess it goes both ways because I am always finding things for him in 2 seconds that he’s been trying to find for hours. That’s why you get married, folks. Too bad they weren’t really worth the wait. In fact, they are pretty awful. Don’t think too hard about it. 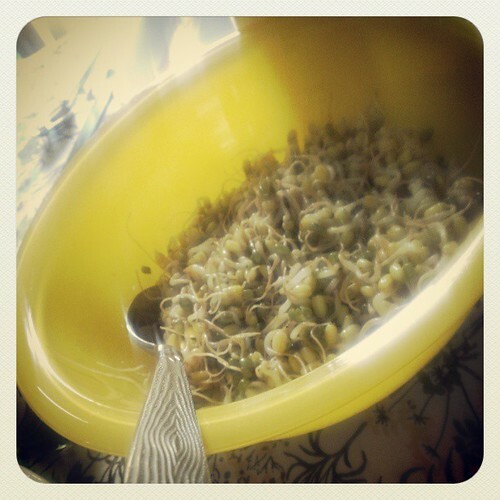 I decided I wanted to try sprouting seeds and beans, so I started with mung beans, as they seem to be the easiest. 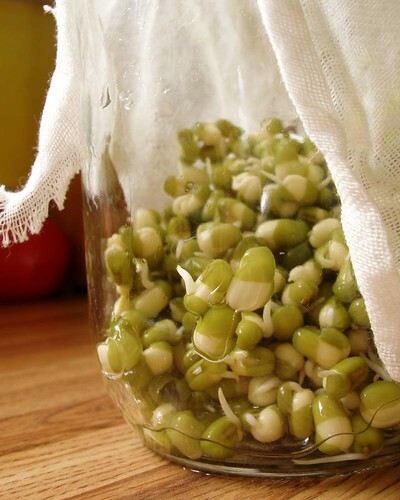 My only experience with mung beans is from The Office when Creed was sprouting them in his desk and they “smelled like death”. They didn’t seem to have any unpleasant odor. It was fun and easy, although I wasn’t sure what to do with them in the end. 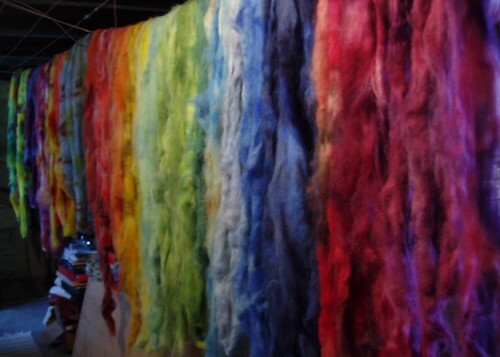 A rainbow of llama roving drying in the basement. It’s going to be a challenge getting this stuff braided. It’s so slick and wispy! As I was dyeing it, the colors refused to stay put. Every time I ended up with a semi-solid. 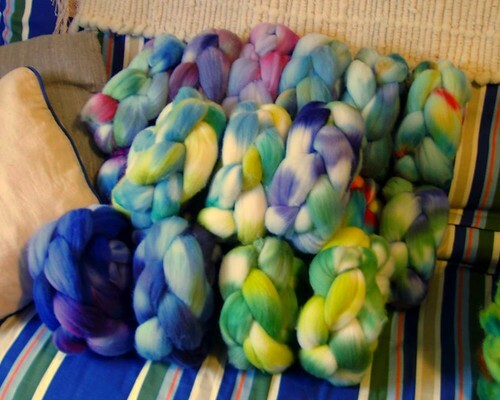 Romney roving with Cotswold and Teeswater locks. The Romney came upstairs for braiding, but the locks had to linger in the living room while they dried. With outside temperatures hanging around 40 degrees, I’ll just have to wait. Falkland top braided and ready for labeling. I was trying so hard to focus on blues and greens this time, but I feel like the colors turned out a little wimpy. Blue isn’t fun to play with. It was an “all play and no work” kind of week. Started with kitties and shopping with my mom on Monday. 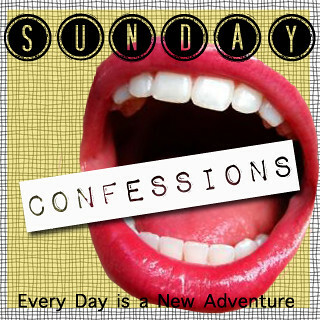 Then Wednesday I went to a flea market and lunch with a wonderful friend of mine who let me talk the whole time. And on Friday I spent the entire day in a garden listening to stories told by two hilarious women. Honestly, I don’t remember what I did on Tuesday and Thursday. It may have been work related. I didn’t bother doing a “friday’s question” post this week. Blame it on the garden. and the sorbet. and the sunshine. Did anyone even notice? Rich and I have decided I manage one good home-cooked meal a month. 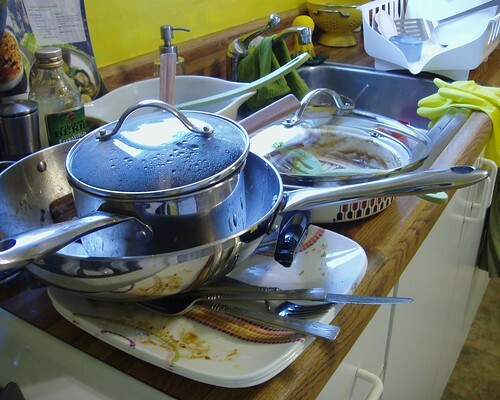 What is required to accomplish this: food ready at a reasonable time (5 pm, not 8 pm); the kitchen is not a complete disaster; I do not hate the food or him or everything; the food is edible (and not just spaghetti). Somehow I managed it twice this month! Things are looking up! 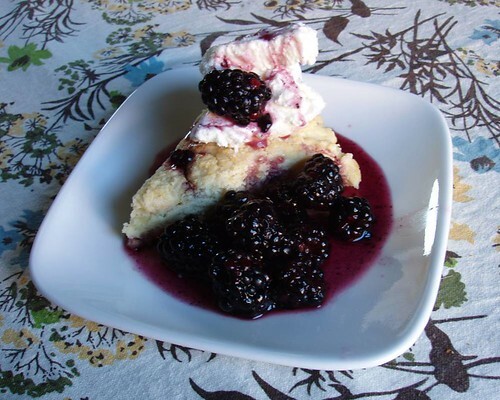 I made blackberry shortcake for dessert this week and it gave me so much personal satisfaction. Don’t tell the feminists. Also, I hand-stitched the collar on Rich’s new tunic and it was awesome. Please don’t tell the feminists. 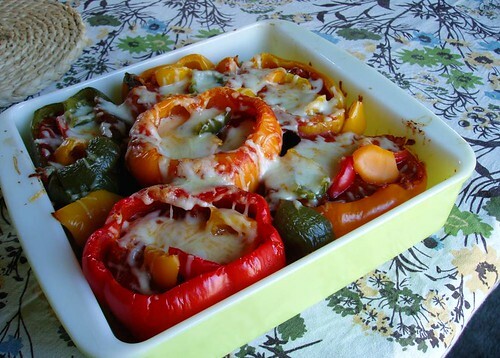 Multi-colored stuffed peppers for dinner on Wednesday. And blackberry shortcake for dessert. I hate the smell of cooked eggs. I can handle them in food, but a pan of scrambled eggs grosses me out. And yet I still cook them for my husband’s breakfast. Last night I fell asleep on the couch around 9:30 fully dressed. Then at 10:30 I went upstairs, put on my pajamas, and came back downstairs only to fall asleep again until 2 am. At that point Rich and I went to bed and I fell asleep immediately. Every time I come home I expect to find my house burned down. Which is creepy and dumb because I have never had any issues with fires. Except for the two times I set myself on fire. The first time it was my sleeve over the stove; the second time we were camping and it was my apron. I am super lazy and unmotivated. Especially now that I work from home. I should have known better being that I couldn’t handle independent study when I was in school. Once I tried to put on my pants with the left leg first and I couldn’t do it. I just fell over on the floor and got really confused. I like to tell stories. Or perhaps I am compelled to tell stories. Even the smallest thing turns into a lengthy rambling. That includes dinner. Each night I attempt to cook dinner, it gets “exciting”. Usually it has to do with not having the correct ingredients. For some people this might be a great opportunity to experiment. But for me, a rules and recipe follower, this causes anxiety. And then I feel compelled to explain the entire ordeal to those eating the food, just in case it turns out icky. Tonight the plan went something like this: grilled chicken; sauteed zucchini/yellow squash; and Deceptively Delicious couscous. The grilled chicken was not grilled, but it was very tasty thanks to Rich who cooked it. I tend to overdo it when it comes to cooking chicken. The zucchini and squash recipe also included shredded mozzarella, grated Parmesan, and fresh basil. I thought, “I’ve got all that!” But of course I did not. No mozzarella and my Parm was shredded, so I just put in lots of the cheese I had and it was so delicious! I thought next time I might try a pureed squash soup with the cheese and basil. Not sure how that would work but it sounds interesting. The final side dish, couscous, had ingredient problems too. I was supposed to put yellow squash and carrot purees in, but I was out of both. Instead I put in cauliflower and spinach. It was so yummy. 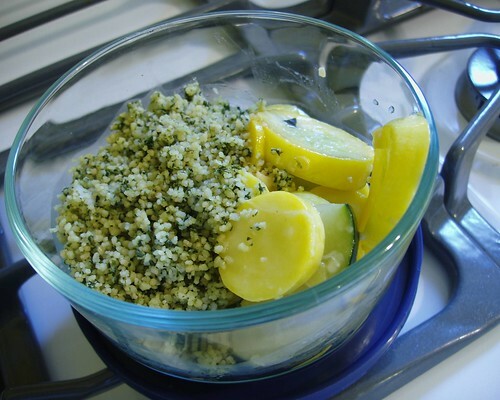 Green couscous! Overall the meal turned out great. Rich and I shared it with my dad, so that made it even better. I’m realizing that just because I don’t follow the recipe exactly, it is not a failure. In fact, I may find something new and tasty. The most exciting development at the Brown House has occurred in the kitchen. 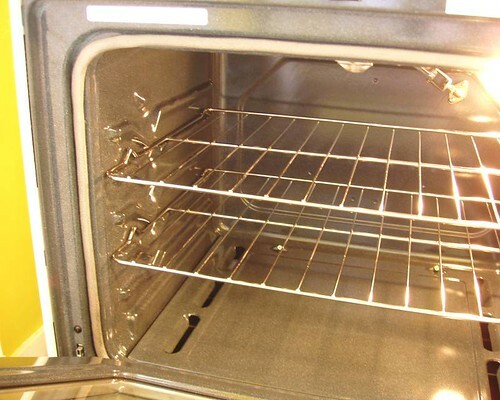 Our lovely new gas range is finally functional! 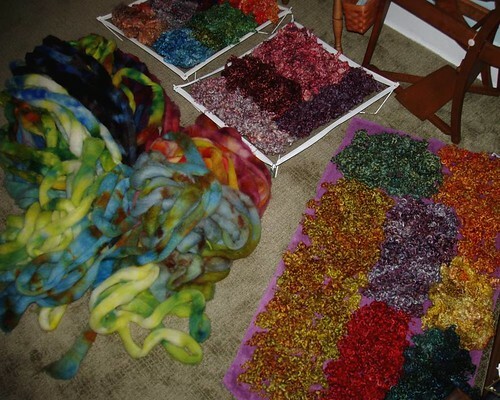 Now I can dye larger quantities of fiber and bake, saute, boil, and whatever else one might do to food when using a stove. Tuesday I spent the entire day running around the kitchen making things. I picked up a copy of Deceptively Delicious by Jessica Seinfeld after a work friend showed it to me. Basically, Seinfeld decided she did not want to battle with her kids to eat their veggies, so she just purees them and sneaks them into the food. I figured that her recipes looked appetizing and they have boosted nutritional value, so why not? 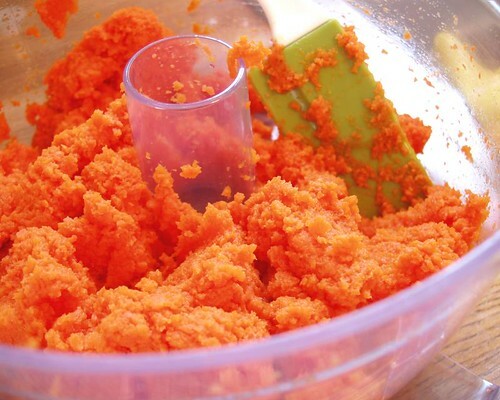 I started with a spaghetti and meatballs recipe that included butternut squash and carrots. 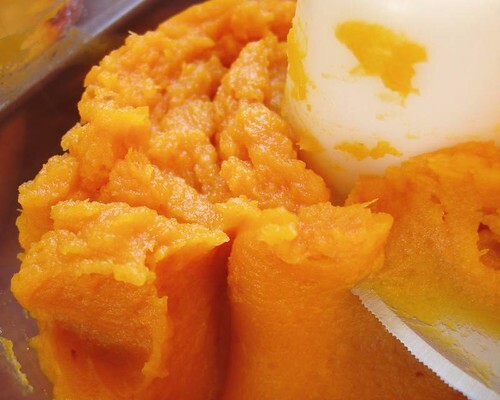 Before pureeing the squash, I had to roast it – in the OVEN! Something I hadn’t done before. The color of the squash was really remarkable. It went into the turkey meatballs. I had never made meatballs before or worked with ground turkey. 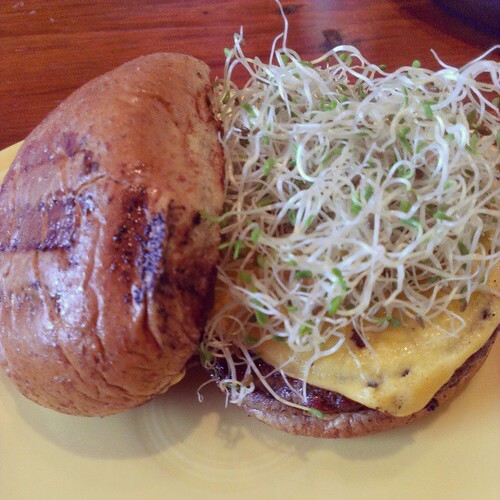 The texture came out a little weird, but I don’t know which ingredient(s) had the most effect on it. The carrot required more effort. But it was such a stunning bright color.